New homes are now held to much higher standards than they were in the past, especially in regards to energy efficiency. So if you’re concerned with minimising your environmental impact, and saving money on heating bills, a new build home could help you do so. All Conroy Brook homes use only the highest quality, energy efficient windows and doors, and are built to Level 3 of the Code for Sustainable Homes (exceeding current building regulation requirements) to make your home as environmentally-friendly as possible. We listen to our customers, and you are very discerning - as are we - and we understand that you don’t want to spend your time redecorating a home you’ve only recently moved in to. That’s why if you reserve a new home early enough in the build process, there are a range of options you can choose from to add your own style and personality and ensure you get the home of your dreams. 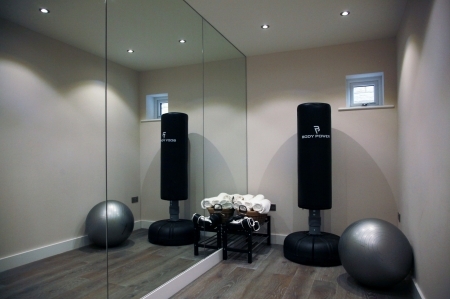 Depending on the stage of the process in which you reserve your new home, you could have your own choice of kitchen colours, flooring and tiling, or you could even have the option to transform flexible spaces into a home gym or a cinema room. Connectivity is key. Older properties weren’t developed with broadband and mobile phone signal in mind, so it can be difficult to guarantee a consistent connection when you buy a second-hand home. Innovation is now needed to build smart homes that cater to modern lifestyles, which is why we use Cat6e wiring as standard in all of our new properties. The cable can be used to distribute all kinds of data and media around the house to meet each homeowner’s individual needs. For more information about the benefits of Cat6e wiring, read our previous article. 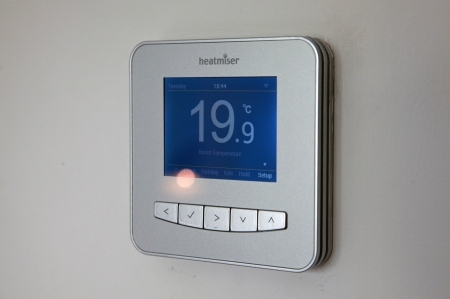 Your new build may also use technology such as smart thermostats, to not only keep your home consistently comfortable, but also help with its energy efficiency - such as the Heatmiser neoStat used in Conroy Brook homes. This programmable thermostat allows you to set which times you want your central heating to turn on and off and the temperature it will reach, but it also incorporates more modern technology in the form of self-learning and app control. The neoStat will calculate and learn how long it takes to warm up your home to ensure that your space is warm when you wake up and return home, without wasting energy by heating up too early. This is then automatically optimised throughout the year to adapt to the changing temperatures, as well as detecting and adapting to any changes within the home that would cause the preheat time to change. And if you ever leave your home in a hurry, or you will be returning home earlier than expected, the complementary smartphone app allows you to control your central heating system from anywhere. When you choose a new build over a second-hand property, there will be no upward chain for you to worry about. When taking over from a previous owner, your move will depend largely on them. If they need to wait months until their new home is ready (or if their move falls through and they need to look for a different property), this could result in you waiting much longer as well. New builds take away this worry. Because you will be the first person to have lived in the property, your move isn’t dependent on anyone else. Once you have a completion date, it is yours, ready for occupation. When you buy a new build home, you will have a team of people on hand who know all about the properties to guide you through the process and answer any questions you might have. We pride ourselves on providing a personal and individual service based on our core values of honesty and integrity, from your first site visit through to moving day and beyond. Our aim is to create homes that provide a living environment of maximum comfort, flexibility and efficiency. Balancing the best of traditional craftsmanship with modern technology, Conroy Brook deliver unique properties that leave a lasting impression. Additionally, when you buy a new build property from a developer that is registered with the National House Building Council, you have the peace of mind that your home will come with a 10 year warranty and protection scheme that covers any structural defects. 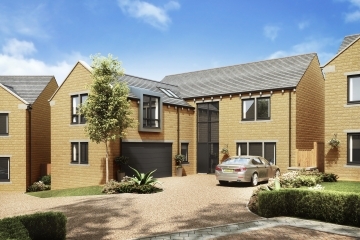 A new build home also comes with the guarantee of brand new, high specification appliances. 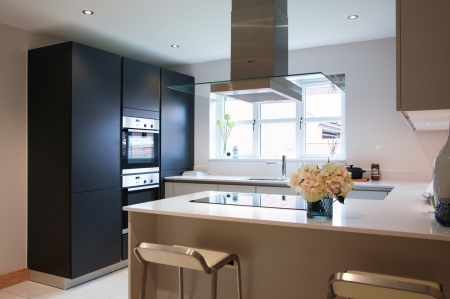 Conroy Brook only use the best integrated kitchen appliances from high quality brands such as Siemens, Smeg and Neff, and beautiful sanitaryware from Laufen Pro and Vado to guarantee high performance and luxury in every aspect of your home. 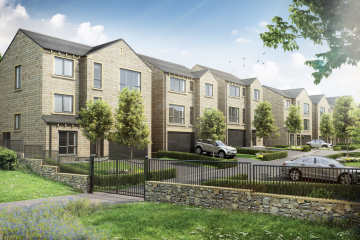 Discover your new ‘forever home’: take a look at our current and upcoming luxury developments across Yorkshire. Or if you have any questions about our homes, please get in touch via the website.